The expanded membership will strengthen the collective and coordinated approach to meeting the [email protected] objectives. With the UK, the campaign now has the support of most of the largest EV markets worldwide. The existing members are Canada, China, Finland, France, India, Japan, Mexico, the Netherlands, Norway and Sweden. The addition of companies active on the electric mobility front is also a milestone for the initiative, which was started last year by the Clean Energy Ministerial (CEM). It represents a major step forward in the campaign’s multi-stakeholder approach and reflects the reality of the electric mobility transition that is taking place on the ground. The companies are: ChargePoint, Enel X, E.On, Fortum, Iberdrola, the Renault-Nissan-Mitsubishi Alliance and Vattenfall. The [email protected] campaign is organized by the CEM-Electric Vehicles Initiative (EVI), coordinated by the International Energy Agency. The campaign was launched during the 8th Clean Energy Ministerial (CEM8), held in Beijing in June 2017. Since then, the [email protected] campaign has succeeded in bringing together over thirty leading cities from twelve countries on the topic of urban electrification via the Pilot City Programme. This initiative acknowledges that cities are running at the forefront of the electric mobility transition and intends to demonstrate how local- and national-level cooperation brings about more successful and sensible policies. 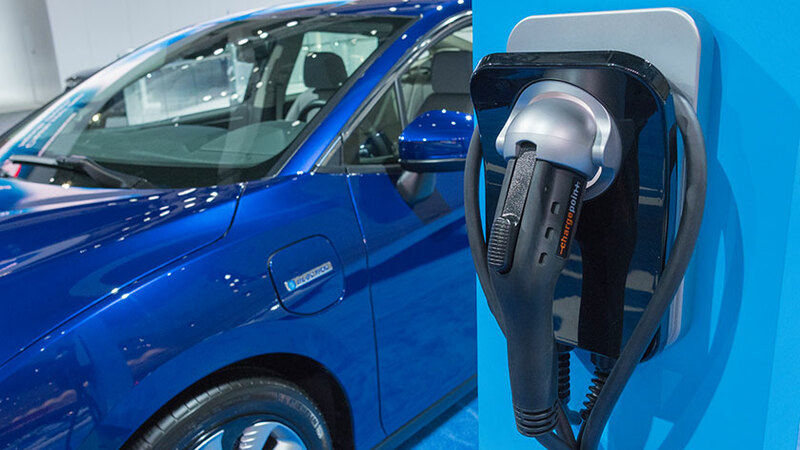 The campaign’s target of 30 percent new electric vehicle sales by 2030 applies collectively to the CEM-EVI membership, and not to individual countries. Governments who endorse the goal show leadership by establishing policies to reach the target and engage through EVI to report progress and share best practices. These environmental, economic and social goals can be addressed through accelerated electrification of the transportation sector. In 2017, the global electric car stock reached more than 3 million vehicles, after growing exponentially for the last ten years, according to the latest Global EV Outlook report. In the report's [email protected] scenario, where all countries together achieve the [email protected] target on average, over 220 million electric vehicles (light-duty vehicles, buses and trucks) are deployed by 2030. The campaign supports the market for 2-3 wheelers, electric passenger cars, light commercial vans, buses and trucks (including battery-electric, plug-in hybrid, and fuel cell vehicle types). It also works towards the deployment of charging infrastructure to supply sufficient power to the vehicles deployed. Through EV deployment progress monitoring, analytical activities and policy recommendations, the EVI also aims at providing countries with informed material for the implementation of the most effective electric mobility policies possible. The [email protected] campaign is also supported by C40, the FIA Foundation, the Global Fuel Economy Initiative (GFEI), the Natural Resource Defence Council (NRDC), the Partnership on Sustainable, Low Carbon Transport (SLoCaT), The Climate Group, UN Environment, UN Habitat, and the International Zero Emission Vehicle Alliance (ZEV Alliance). It also received the backing of the Hewlett Foundation, the Renewable Energy Policy Network for the 21st century (REN21) and the World Resources Institute (WRI) this year. The CEM is a unique partnership of 26 members, including most of the G20 economies, representing 90% of clean energy investment and working together to accelerate the global energy transition. CEM-EVI participants include Canada, Chile, China, Finland, France, Germany, India, Japan, Mexico, the Netherlands, New Zealand, Norway, Portugal, Sweden, the United Kingdom and the United States. “Clean and decarbonised transports are key to reduce air pollution, fulfill the Paris Agreement and build a carbon-neutral world by 2050. Their development is one of the priorities of the French Climate Plan and the future Orientation Law on mobilities. France will act firmly to multiply by 5 the sales of electric vehicles by 2022 while public infrastructure network will be reinforced. France also encourages international actions, through cooperation and initiatives such as EVI or the Transport decarbonisation Alliance, to meet this global challenge. - Stientje van Veldhoven, State Secretary for Infrastructure and Water Management, The Netherlands.